Alkaline batteries are a type of primary batteries dependent upon the reaction between zinc and manganese dioxide, they are called alkaline because they use alkaline electrolyte. Alkaline batteries are usually a single use type, though recent developments allowed rechargeable alkaline batteries as well, though they are not suitable for deep cycle use as they offer very few recharge cycles in such usage scenarios. The capacity of an alkaline battery is dependent on the load of the battery, the useable capacity for low loads can be significantly higher than in high load applications. The nominal voltage of a new alkaline cell is 1.5V, though the open circuit voltage can be higher, the fully discharged cell has a remaining voltage of about 0.8V. Alkaline batteries are usually used in low power applications where they can be used for longer periods of time as they have low self discharge over time. Carbon-Zinc batteries can sometimes be confused for alkaline batteries, though they are not, although they are also offering the same operating voltage and are single use batteries and are not rechargeable. Carbon-Zinc batteries can be used in most cases where you would use an alkaline battery with no problems at all as they are compatible, though they may not be the best choice in all cases. A Nickel–metal hydride battery (NiMH) and Nickel–cadmium battery (NiCd) are two similar types of type of rechargeable batteries. The main difference between the NiMH and NiCd is the chemistry they use, with the NiMH batteries capable of having higher capacity than the NiCd. The NiMH and NiCd batteries have a nominal voltage of 1.2-1.4V, though the open circuit voltage can be higher, when discharged they are down at about 1.0V. One of the significant disadvantages ot this type of batteries is the high rate of self-discharge that NiMH and NiCd (lower than on NiMH) batteries have and they do not come charged. The problem with faster self discharge and the fact that you need to charge them before use has been addressed with the more recent low self-discharge (LSD) NiMH batteries that are becoming more and more popular in the last few years. These LSD NiMH batteries come pre-charged and loose their capacity when not use at a much slower pace than traditional NiMH batteries. There is a lot of controversy going on around NiMH and NiCd batteries about the so called “memory effect” they are supposedly suffering from, but this has become more of an urban legend and a marketing tactics than something that you should be worried about as a possible problem in 99% of the time. These are some of the most common types of batteries that we are going to be testing and comparing in terms of performance here on the pages of RightBattery.com, though there are many other types of batteries using different chemistry and with varying performance and features, but these are not very widely used. And since they are either too specific or nor widely spread and used, you would probably not going to need to use any of them, aside maybe from Lead-Acid (Pb) batteries which are the the oldest type of rechargeable battery we are probably not going to test most of them, again aside from maybe Pb batteries. In our everyday lives we are surrounded by different devices that use batteries to operate, just count the number of remote controls you have in your home or office, your watch uses a battery, your digital camera or camcorder, your laptop, mobile phone, or a tablet and lots more. There are many types of different batteries, both based on the chemistry they use to provide electricity as well as their formats and sizes. There is one thing common between all of them and that is that you need to choose the right battery for the right job in order to have your battery powered devices functional for longer periods of time as well as be fully operating whenever you need them. Do you remember the last time you tried to use a flashlight or another battery powered device that you don’t often need, and when you actually needed it the batteries inside were dead? Or when was the last time you were using a digital camera to take some photos and whenever you needed it most the batteries got depleted and needed to be replaced? 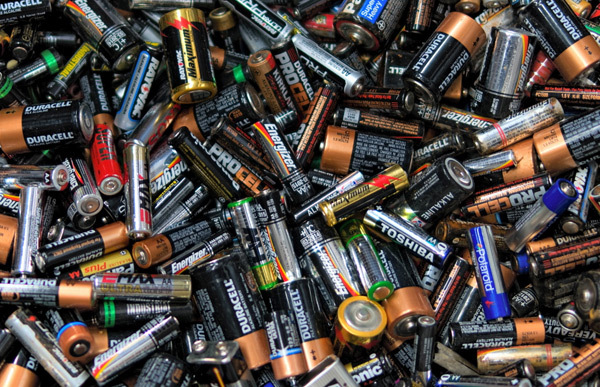 As a general rule of thumb however you should consider using Alkaline batteries in low power equipment that you also may not use that often such as a calculator, weather station or smoke alarm, of course remote controls and clocks also fall in these categories. The reason for this is that Alkaline batteries can hold charge for longer periods of time when not being used and can last for years in low power equipment even though usually they are not rechargeable. For devices such as wireless keyboards and mouse, radio toys and flashlights that are more often used you might want to consider using NiMH batteries if you use them more often, as you would need to recharge the batteries more often. Have in mind though that normal NiMH batteries loose their charge faster even when they are not being used, though now there are also some ore expensive models that come pre-charged and offer low self discharge that can help in some cases. For devices that consume more power such as digital cameras, camcorders or photo flashes you should either go for NiMH or Lithium batteries with higher capacity. Lithum-based batteries do offer low self discharge when not being used and stored in suitable conditions.